Under perfect conditions almost all morning, Montemor-o-Velho High Performance Centre received some of the best athletes in the World, competing for the 2013 title in 200 meters. In C1, Andrii Kraitor from Russia was the winner, with 41.390, followed by Maksim Opalev also from Russia with 42.620.Alfonso Ayala from Spain was 3rd with 42.700. In K1 Women, the winner was the Olympic and World Champion Natasa Janics, that now is competing for Servia. Sarah Guyot from France was 2nd 0.790 from the winner. Francisca Laia, 1st year Senior and Junior Bronze medalist in 2012 European Championship, was 3rd with more 01.250 than the Serbian. In K1 Senior Men, Arnaud Hybois from France was the winner with 35.900, followed by Carlos Lopez and Cristian Carvallo both from Spain. On Saturday, Fernnado Pimenta, from Portugal was the winner in K1 Senior, making the 2000 meters in 07:40.072, followed by Russian Ilya Medvedev with 07:47.231 and Emanuel Silva also from Portugal with 07:54.108. In K1 Women, Beata Mikolajczyk from Poland was the winner with08:48.423, followed by Russian Vera Sobetova and Antonija Nadj from Serbia. In C1, Mathieu Goubel from France was the winner with 00:09:22.782. Leonid Tilsh and Dmitry Petrov from Russia were 2nd and 3rd. Maxime Beaumont(France) in K1 Senior Men, Dmitry Petrov(Russia) and Antonija Nadj(Serbia) were the overall winners and received NELO prizes. 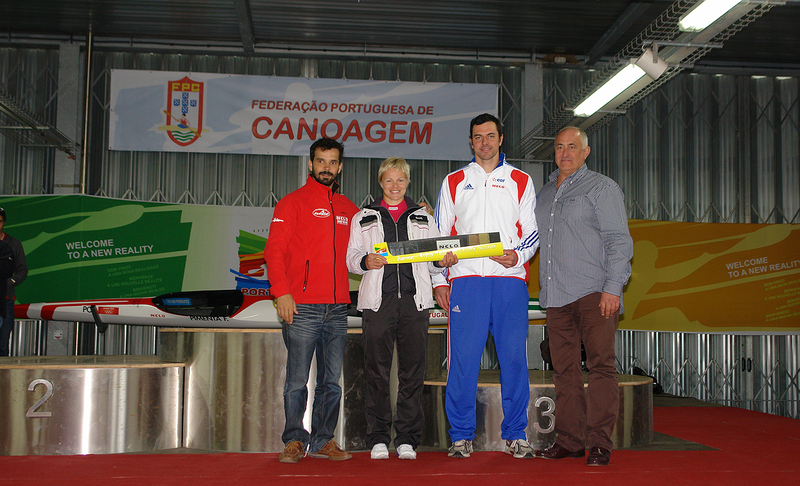 All results can be found at THE RACE menu, under Portugal Winter Trial 2013 Tab.